Florence is a city my family loves. 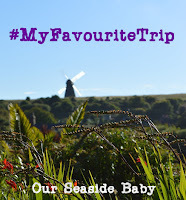 We recently spent a wonderful long vacation there and the kids adored the city so much that they kept asking to go back for many months after our return home: we had an amazing time. 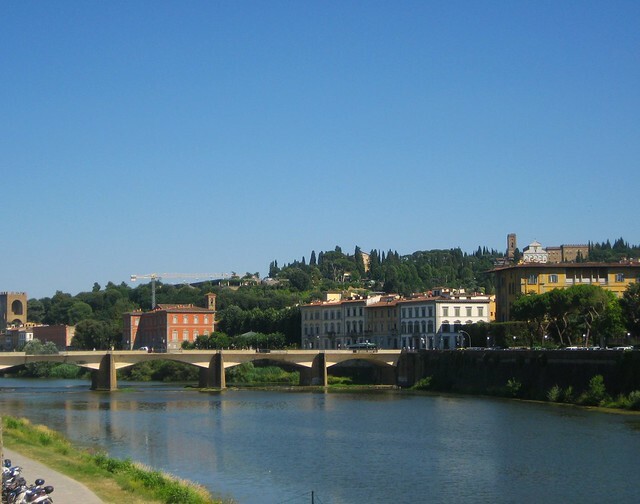 If you are looking for a comprehensive guide for visiting Florence with kids, you can find mine here. Florence city centre is a hive of activity, with locals and tourists filling its beautiful streets to admire timeless art, scout independent shops and relax in inviting street-side bar terraces. Kids loved that many parts of the city are closed to traffic and found the street artists highly entertaining! Florence has some amazing gardens and one of them, the Boboli garden in the Oltrarno neighbourhood, features in all guidebooks as one of the city’s most beautiful attraction. The Boboli garden is indeed a very special place: it is an elegant Italian style historical gardens built in the mid-1500s and the word most used by children to describe it says it all: ‘marvellous’. Top Tips for families with young children. Boboli charms kids with its elaborate fountains and statues, but pic-nics and running are prohibited. if you want a park to play in, head to Parco delle cascine instead, a large, green area with playgrounds, trails, cycling paths and, in the summer, a wonderful open air swimming pool. 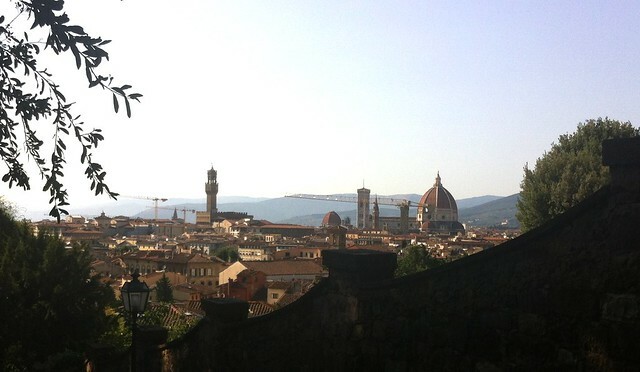 Do you know the photo with the iconic view over Florence, with the Brunelleschi dome on the right? That photo is taken from Piazzale Michelangelo, a belvedere terrace overlooking the city: it is a fabulous spot and between the view, the street vendors and the ice cream cart usually parked there, one of the kids favourite hangouts! Top tips for families. If your kids like cars, they will be in for a treat. Usually, two beautiful red Ferraris are parked in the piazzale and are there for anyone to admire. They belong to a company called ‘Firenze in Ferrari‘ and they can be booked for a drive by anyone with a full driving licence. Kids cannot touch the cars unless you book a tour (we did, read about it here), in which case they are not only allowed in (when parked), but twill also have their photo taken by a professional photographer! This is the giant of Pratolino, the most impressive sculpture of the many in the homonymous villa. Top Tip for families with children: a very special place on the Florentine hills is Parco di Pratolino, a stunning Villa built for the Medici family. One of its most impressive features is the big statue of the giant, the Colossus of the Apennines in the photo above: it is incredible and its gentle figure will wow the kids!. I believe Tuscany has some of the best food in the whole of Italy and my kids have eaten more fresh, wholesome food there during our three week holiday than they ever did anywhere else! As well as gelato, our kids grew particularly fond of a special kind of bread/pizza you have in Tuscany called schiacciata. This is similar in concept to what abroad is known as ‘focaccia’ and it is perfect instead of bread for a tastier sandwich option: light in salt, but rich in olive oil, it can be eaten alone or stuffed with ham, mozzarella or any filling of your choice. Top tip for families with children. If you want to taste a gelato that really is out of this world, for how good it is, go to to gelateria Badiani. Just outside Florence city centre, this gelateria is famous for a flavour called ‘dolcevita’ (made among other things with egg-based zabajone and hazelnut cream). This taste won the European Festival of gelato in London and if you are wondering whether it is worth it to leave the town centre for it, my answer is: 100% yes! 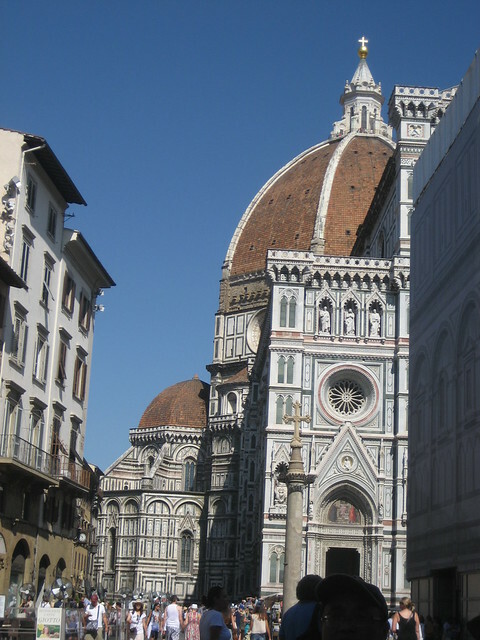 Have you visited Florence with kids? What are your highlights?